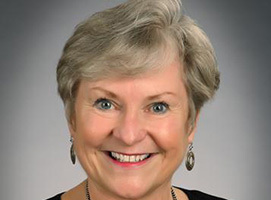 Dr. Mari K. Normyle, assistant vice president for retention solutions, works directly with colleges and universities throughout North America supporting student success and retention efforts through student motivation assessment and early alert programs. With more than 25 years of higher education experience, Dr. Normyle has held positions in admissions, adult education, program development, and grants administration at both public and private four-year institutions. In her campus-based positions, Dr. Normyle has increased enrollments through recruiting and retention efforts, created comprehensive transition programs for entering freshmen and transfer students, built academic recovery and coaching programs, expanded internship opportunities and developed partnerships between career development and alumni relations to expand services for graduating seniors. Her expertise includes building strategic partnerships between academic and student affairs, peer leadership development, and the implementation of campus-wide programs leading to improved student success outcomes. Dr. Normyle earned her doctorate degree in higher education leadership at the University of Virginia. Her dissertation research examined factors that contribute to the success of male first-year undergraduate students.